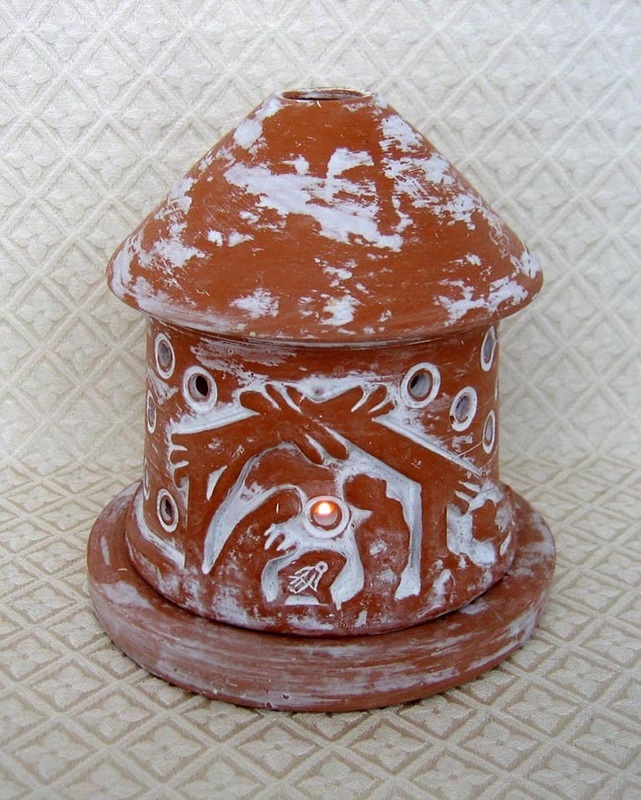 This terra cotta lantern is whitewashed to accentuate the Nativity scene of the Holy Family in a stable. The lantern sits on a separate saucer that holds a small candle. This item measures 6 inches tall by 5 inches in diameter. Established in 1977, HEED Handicrafts is a forward-thinking job creation project of HEED Bangladesh (Health, Education and Economic Development), a registered Christian non-governmental organization. HEED Handicrafts trains and works directly with minority groups such as refugees, people with disabilities and indigenous tribal groups to develop their skills base, improve their financial status, and raise their self-esteem. HEED specializes in many areas of production including grass, clay, palm fibre, leather, embroidery, brass, iron, glass and handloom textiles.